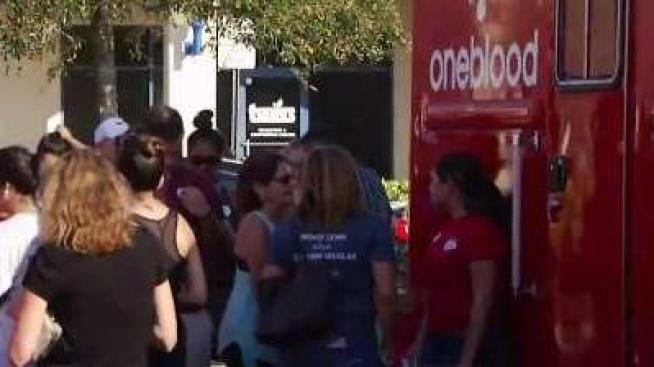 The community has come together to give back after the tragedy at Stoneman Douglas High School. NBC 6 Anchor Johnny Archer explains. As state records of accused Florida school shooter Nikolas Cruz begin to uncover the troubled past that led to the teen's deadly rampage, his defense attorneys say a guilty plea is being considered to avoid the death penalty and a lengthy trial. Cruz's attorneys plan to meet with prosecutors to discuss the guilty plea, Broward Public Defender Howard Finkelstein confirmed to NBC 6. "There is only one question: Should this young man live or should he die by execution?" Finkelstein told the Sun-Sentinel. "We believe it’s in nobody’s best interest to go through a circus of a trial." The Broward State Attorney's Office responded to the public defender's comments Saturday, saying in a statement that "this certainly is the type of case the death penalty was designed for." The statement called Cruz's alleged attack a "highly calculated and premeditated murder of 17 people and the attempted murder of everyone in that school" and said a formal decision would come "at the appropriate time." Cruz hasn't formally been charged in the murders of the 17 victims of the shooting at Marjory Stoneman Douglas High School, but the defense lawyers said they're certain prosecutors would seek the death penalty. Florida requires a 12-0 jury vote to hand down a death sentence. Cruz's public defenders have been scouring his state records for information on his past. Those records show that Florida's child welfare agency investigated after he cut himself in a video but found him stable. Cruz had at the time also broken up with his girlfriend, who had been cheating on him, and he had gotten into a fight, according to the report. Cruz had drawn a racial epithet on his backpack, and officials worried his depression was worsening. He had also indicated he "plans to go out and buy a gun." The agency concluded at the end of the investigation that Cruz was receiving adequate care from a mental health counselor and was attending school. DCF deemed him "stable enough not to be hospitalized." The documents provide further evidence that Cruz was a troubled teen before being charged with 17 counts of murder in the Wednesday attack at Marjory Stoneman Douglas High School. Defenders also have asked Henderson Mental Health, which appears to have had a long history with Cruz, for its records of his treatment. And the Florida Department of Children and Families petitioned the court to release records related to Cruz. DCF also asked to be allowed to release their records on Cruz, which are confidential under Florida statutes.